milk and honey café: quick! easy! delicious! banana bread! quick! easy! delicious! banana bread! I never quite understood why all those "30 meals under 30 minutes!" or "Quick, Fast, Instant, Speedy Cooking" or "10,000 one-bowl meals!" cookbooks sold so well. I knew that time is of the essence when it came to managing the family, but I thought it was kind of overboard when I saw the plethora of these cookbooks. That is, until... I became a mom! O how I underestimated the value of a quick and easy recipe. 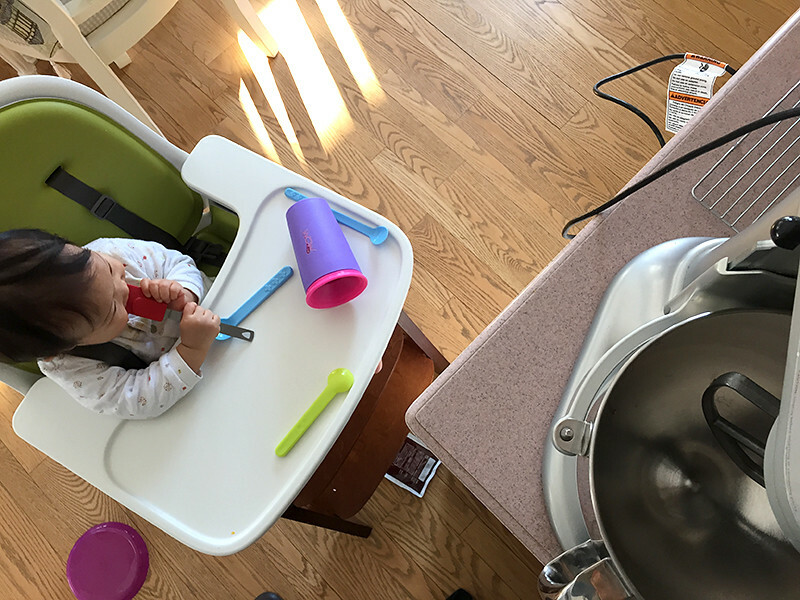 Motherhood is a series of juggling acts and I realized I'm constantly trying to simplify things when I can. 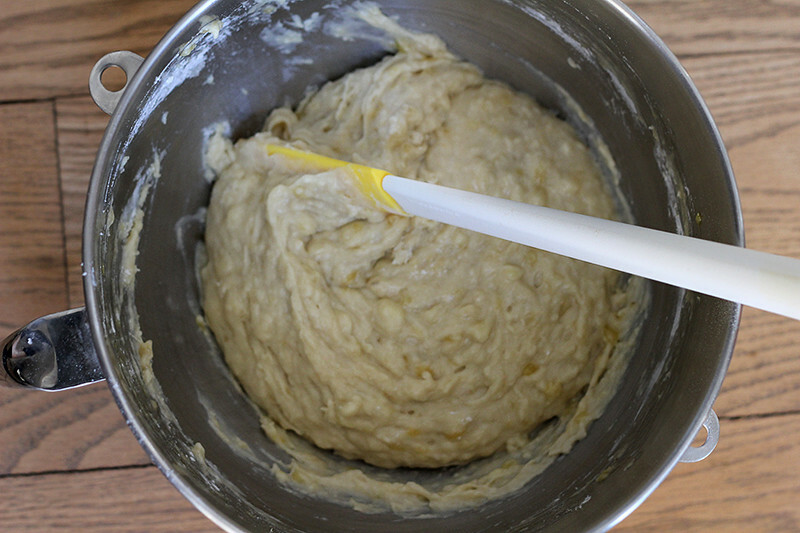 And so when I was in the midst of amusing an energetic 9 month old baby and eating a quick lunch off the counter yet still wanted to do something about those overripe bananas, I looked for the simplest one bowl banana bread recipe I could find. The name of this recipe also happened to be "The Best Ever Banana Bread", so it was an easy sell. I liked this recipe because it asked for simple ingredients that I knew I had in my kitchen. It didn't require milk (which I rarely have in the house) or buttermilk (which I always end up throwing out) or room temperature butter and eggs (which I always forget to take out ahead of time). I'm pretty sure you would have all of the ingredients in your pantry right now too. 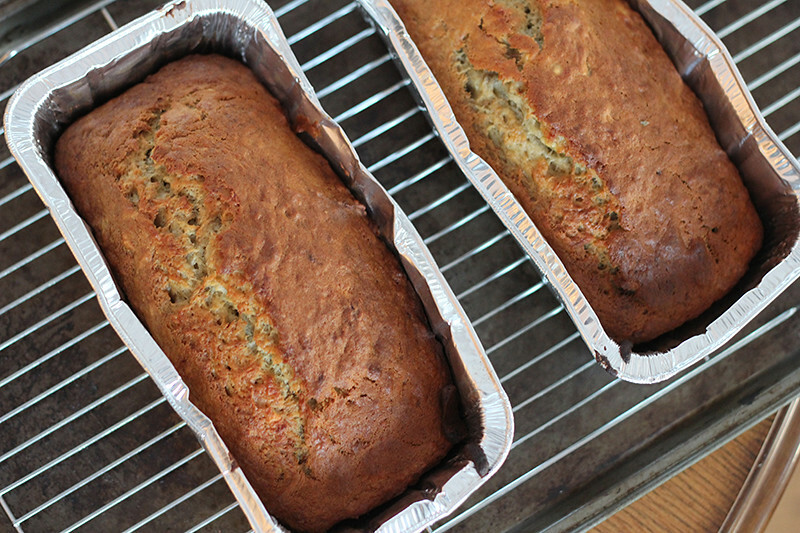 I know banana breads or any quick bread is usually very easy to make, but this one couldn't be any simpler. And it took me just 10 minutes to whip it up. To be honest, if it wasn't for me having to entertain Heidi as she sat in the highchair beside me, I probably could have made it in about 5. It turned out just like how good ol' banana bread should. Super moist, very banana-y, and a perfect amount of density. I know it's gonna be even better when I let it sit overnight. It's definitely my favourite banana bread recipe now! So here it is – a super simple and scrumptious banana bread that you can make if you can spare 5 minutes of your time. I know I'm going to be making it again. 1. Preheat oven to 350F. 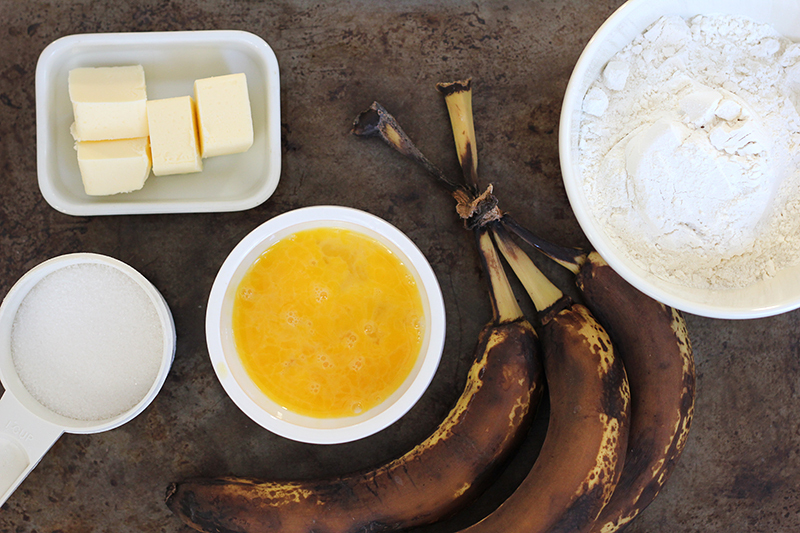 In a large bowl, mash the bananas, then add the melted butter and mix until combined. Mix the sugar, egg and vanilla extract until combined well. Add baking soda and salt to batter. Finally, slowly add the flour until just combined - don't overmix. You can add the nuts or chocolate chips here. 3. Let it cool on a rack and enjoy! I am so flattered you loved my recipe so much! It is a big hit at my house too. Since all the recipes on my site are copy written, I would appreciate it if you would either take the word or word recipe down and link to my site, or please re-write the recipe in your own words. I am fine with people sharing my recipes, but I am sure you can understand that copying word for word isn't good blog mojo! Thanks! Welcome welcome! Thanks for coming by. Here you'll find a collection of recipes, craft ideas, motherhood anecdotes, and any sort of design inspiration. Hope you get comfortable and stay a while. © 2019 Sarah Chung unless indicated otherwise. All rights reserved. Please do not take photographs without permission.